Near a nature reserve in Yunnan, tensions flare between man and beast. For Ma, it’s not the 7-kilometer drive along a bumpy, winding road to his house in Mengwang township in Xishuangbanna that has him spooked — it’s the fear of being attacked by wild elephants along the way. 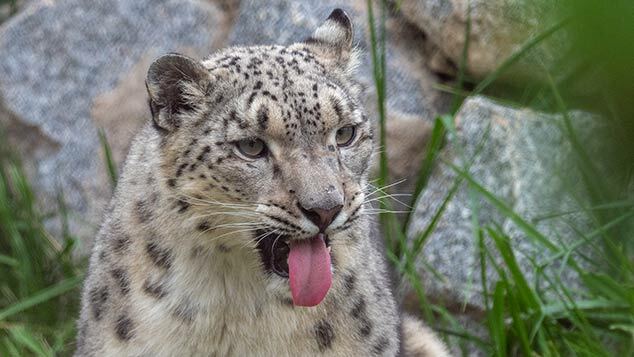 A tragic event more than two years ago marked a turning point in the way locals view the animals, says Ma, a talkative Han Chinese man in his 30s who represents the multiethnic villagers of Mengwang. On the morning of Dec. 28, 2014, an elephant attacked farmer Hu Laosi and his wife as they worked in the fields. Witnesses said the elephant used its trunk to pick Hu up and toss him to the ground repeatedly. He later died from his injuries. Hu’s wife, Gong Meiying, suffered minor injuries as she tried to run away from the attacking elephant. After that, villagers’ curiosity toward elephants turned to fear and hatred, according to Ma. 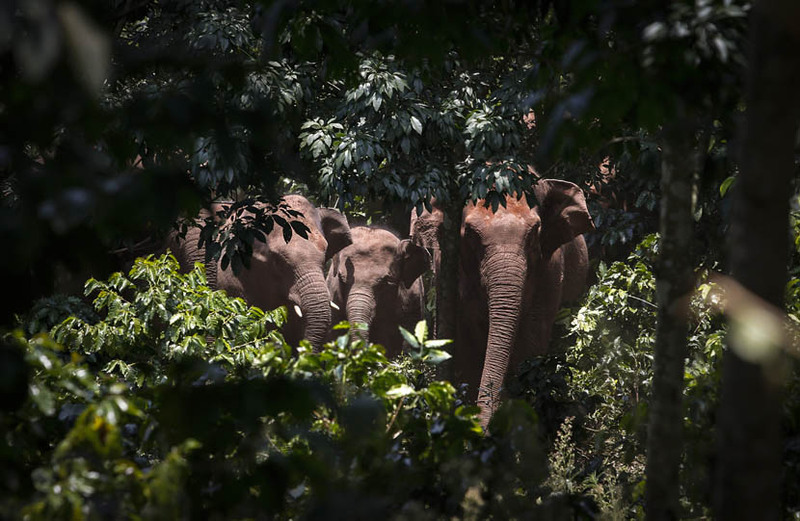 Forced out of their natural habitat by encroaching development, Asian elephants are wandering into Yunnan’s villages, spreading fear as they destroy crops, damage property, and injure or even kill people. Human-elephant conflict is on the rise, highlighting the challenges China faces as it tries to balance rapid economic development with animal welfare and preservation. Xishuangbanna, which is home to many members of the Dai, Hani, and other ethnic groups, lies in the southwestern corner of China near the borders with Myanmar and Laos. This humid subtropical region is known for its diverse fauna and flora, and Asian elephants have long made this relatively isolated part of China their home. “Thick trees, plenty of water, and hundreds of different types of food make the region a perfect place for them,” says Yang Hongpei, director of the research institute at the Xishuangbanna National Nature Reserve. There are no more than 52,000 elephants in Asia, with around two-thirds of those in India, according to figures from the International Union for Conservation of Nature and Natural Resources. By contrast, the same data show there are roughly half a million African elephants. Four millennia ago elephants roamed all over China, but human development has pushed them farther south, experts say. When the reserve was established, there were only about 150 elephants living in China, all of them in Yunnan, and mainly near Xishuangbanna. Since then, that number has increased to between 250 and 300. A soon-to-be released study by Zhang Li, an associate professor at Beijing Normal University’s School of Life Sciences, shows that Asian elephants have lost nearly half of their habitat in the past 40 years, as the amount of land given over to rubber and tea growing has eaten into forested land. The Xishuangbanna reserve was established in 1958 to protect the area’s elephants and the tropical forest itself. By the time the reserve was founded, however, large expanses of forest had been surrounded by villages or farmland. This meant the reserve was never one piece of land. Instead, it was divided into five distinct parts. The situation deteriorated over time, as the forests that served as habitats for elephants were targeted for rubber and tea plantations. Shrinking habitats and small groups of elephants living in relative isolation mean the elephants’ genetic pool has become restricted, posing a long-term threat to elephant populations. 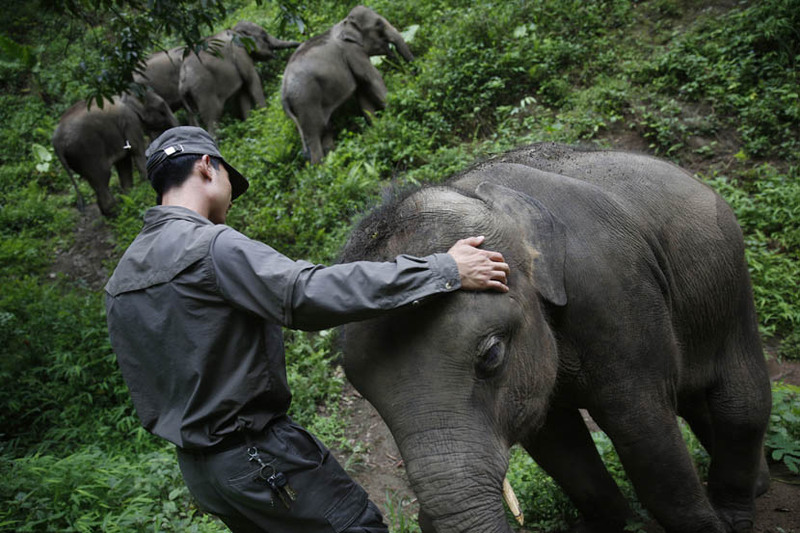 Statistics from the local forestry administration show that elephants have killed 19 people and injured 180 in Xishuangbanna in the past 10 years. As tensions have increased, villagers have started fighting back. On June 25, 2015, an elephant killed 79-year-old Zhao Si, a member of the ethnic Hani minority, while he and his wife, Ming Ba, were sleeping in their cabin near some corn fields. Ming’s injuries were so bad that to this day, she is unable to stand upright. Then on Oct. 22, one of the reserve’s own researchers, Yao Zhengyang, 32, was killed by an elephant at a rubber farm in Mengwang. Yang says Yao and five other researchers were following the elephants closely to observe their habits when a female charged and trampled Yao, killing him on the spot. “Now field research is seen as a risky job, so nobody’s willing to do it,” Yang told Sixth Tone. It’s not the first time relations between humans and elephants have soured in this part of China. 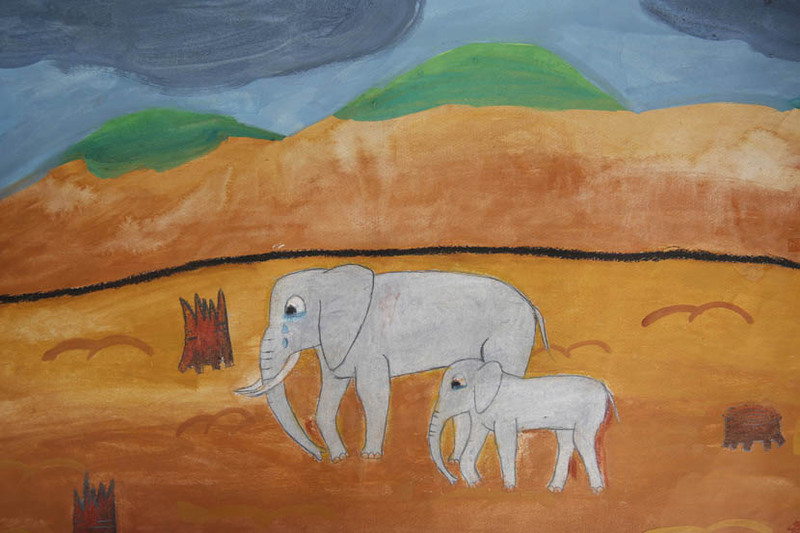 IFAW’s Gabriel recalls a similar period of heated conflict in the 1990s. Tensions were resolved partly thanks to lessons learned from a pilot study IFAW carried out in the area, she says. The key was to get the community involved in developing policies — especially ones with economic incentives — that would allow and encourage them to coexist with elephants. For example, a fund was established that helped the local people shift their economic activity away from types of farming that harmed the elephants’ habitat. 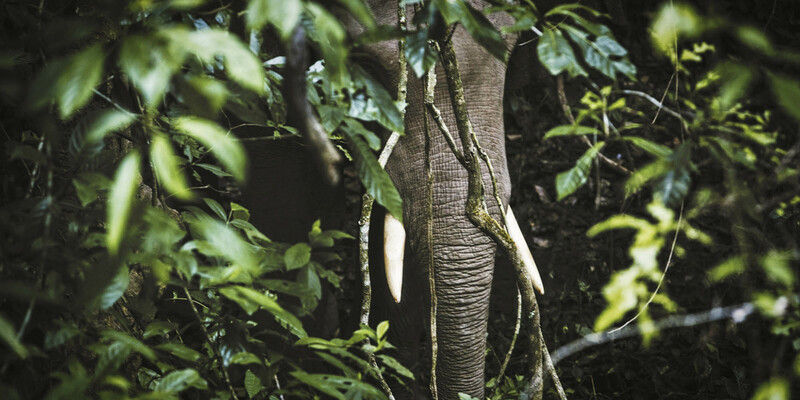 “People felt they benefited from having elephants in their midst,” Gabriel told Sixth Tone. However, the program was small and consequently never saw widespread implementation throughout the province. 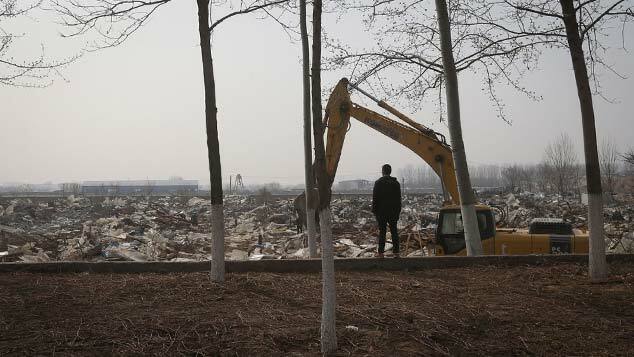 In Mengwang township, where an economic boom in recent years has given rise to modern concrete houses outnumbering traditional wooden ones, many people remember how excited they were when they first came into close contact with elephants. “We were working in the rice paddy when we saw nine elephants walking toward our village,” says Ma, the village leader, recalling an encounter some years back. “Soon everyone came out of their houses to see them. 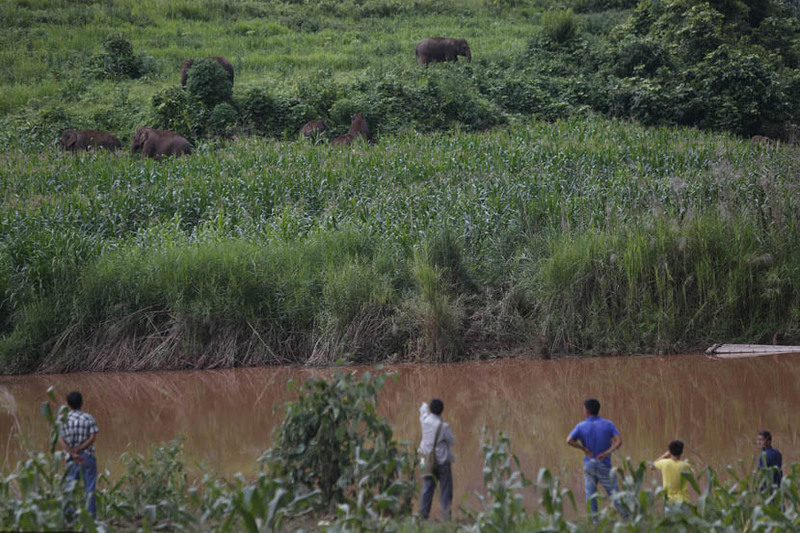 The atmosphere was almost festive.” Since Hu’s death, though, some villagers have been losing sleep, recalling how the elephants charged out of the woods without warning to attack the couple. On the night of Hu’s funeral, villagers set off firecrackers to scare off elephants. China needs to address the problem of growing tensions between people and elephants. Villagers’ lives and livelihoods are at stake, and the future of the elephants could be at risk. Even China’s ability to preserve its natural habitat hinges on taking better care of its elephants. By eating the high-up branches of trees, for example, elephants help sunshine to reach low-growing vegetation. “Elephants play a role in preserving the lungs of the earth,” says Gabriel, referring to forests. Still, a lasting solution to the conflict between villagers and elephants remains elusive, although some modest changes have been implemented. Large road signs cautioning drivers about the presence of wild elephants were erected after farmer Hu’s death. Many villagers have also changed their daily routines to avoid running into elephants. Each village has appointed a few forest rangers to monitor elephants’ whereabouts, and Ma keeps records of elephant sightings in a logbook. Whenever he finds elephants approaching, he alerts the villagers over a public-address system. 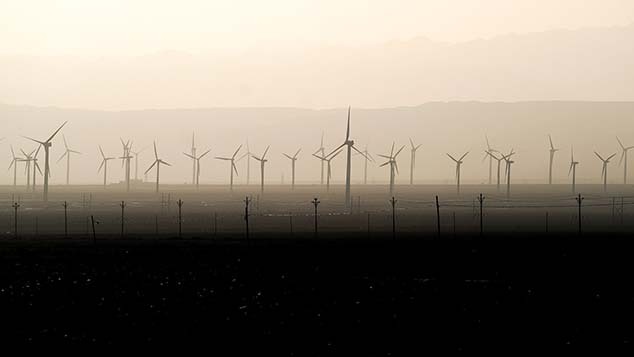 In May of last year, an experimental warning system was introduced, with researchers installing 15 infrared cameras in one village of a few hundred inhabitants. Now whenever the elephants’ movements are captured on camera, villagers are automatically notified via text message. Although knowing where the elephants are lets villagers feel more comfortable, the system has not stopped the animals from pillaging farms. In some places near the elephant migration corridor — a route used by elephants to move between habitats — people have dug trenches to deter the animals. 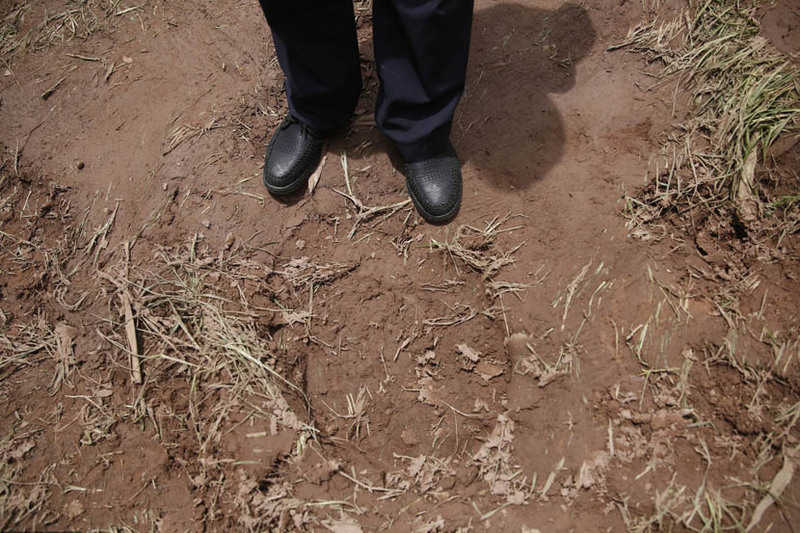 But when soil turns to mud during the rainy season, the trenches become eroded and lose their functionality. In other places villagers have put up electric fences, which worked briefly — until elephants became desensitized to the shock and destroyed them. “None of the man-made barriers lasted very long,” admits research director Yang. In 2000 the reserve started to build special feeding places known as “elephant canteens,” but such efforts have not yielded significant results. That’s partly because at 130 hectares, the land designated to supply the canteens is relatively small, meaning it can’t produce enough crops to satisfy elephants’ enormous appetites. (For comparison, an average sports field has an area of around 1 hectare.) Compensation schemes have also failed to fully curb villagers’ frustrations. In 1991 Xishuangbanna implemented a government-backed system to reimburse villages for damage caused by elephants and other wild animals. 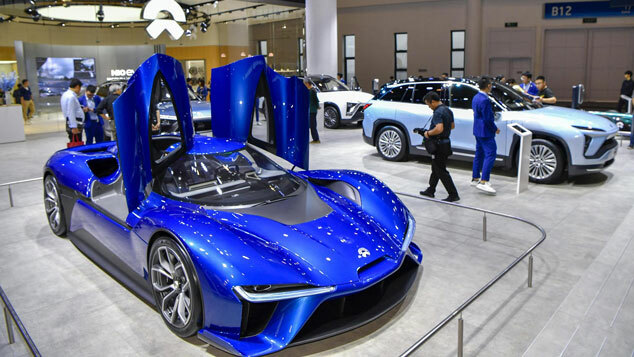 Then the government introduced an insurance scheme to provide even more compensation, paying out more than 13 million yuan (almost $2 million) from 2011 to 2015, according to the forestry administration. While the scheme is seen by many conservationists as a big step in the pursuit of enhancing the livelihoods of people living in close proximity to elephants, many villagers complain that it isn’t good enough because payouts for damaged crops usually amount to around one-third of their market price. None of these steps address the core issue of elephants needing enough space to live and wander freely. “Restoring elephant habitat and establishing ecological corridors are critical for the survival of elephants in this region,” says Zhang of Beijing Normal University. IFAW’s Gabriel believes it is possible for people’s attitudes to change and for elephants and humans to coexist. But for that to happen, she says, some “drastic policy shifts” — with input from locals — are required. Only then will people see the chance to live among elephants as a good thing, she adds.